As part of its provision of Technical Assistance, among other service lines, the SDG Help Desk connects its users to a dedicated professional network of Experts and other sustainable development practitioners and learners via LinkedIn.This group aims to bring together these experts and practitioners to provide advisory services and support the implementation of the 2030 Agenda. To go to the SDG Help Desk's LinkedIn group, click here or, alternatively, by click on the icon above. For any questions about the group, including how to join, please fill out the contact form here. To join, on the other hand, the SDG Help Desk's dedicated Discussion Forum (the SDG Community of Practice) for more open and general dialogue on the SDGs, see the Discussion Forum under the Community of Practice tab above or follow this link. Did you know that nearly two thirds of youth innovators identify incubation and Expert advice as a key means for scaling up? The SDSN Youth Solutions Hub (YSH) was thus created to bring together young SDG innovators, mentors and Experts in a way that is focused, valuable, and––most importantly––all your own. 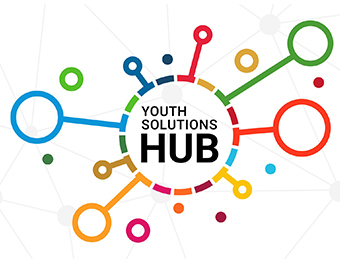 The Youth Solutions Hub provides a dedicate network that connects these young SDG innovators to Experts and other individuals who care about the same sustainability or entrepreneurship topics and can help scale up their Youth Solutions.